What is “Deep Practice”? Many people have names for an awakened state of awareness during practice. 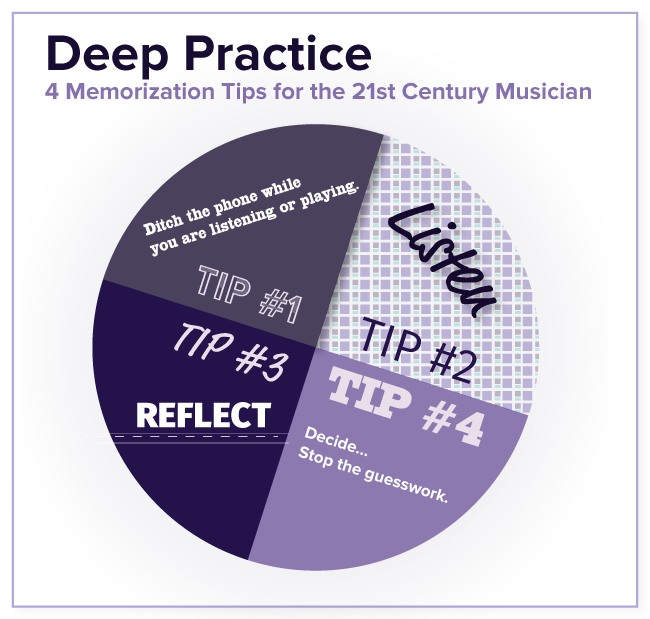 I’ve coined this term as a homage to Cal Newport’s book “Deep Work.” I’ve written this article on how to use “Deep Practice” for memorization. Memorization is just a label, however. I encourage you to look beyond any ideas about what you think memorization is, and ask yourself how you can embody your music for more successful performances. We’re all in for a “quick fix,” especially when it comes to meeting performance deadlines. Unfortunately, in music, quick is not always an option. Memorization, or the total embodiment of a musical work, is an example of a skill that cannot be learned in weeks; –it’s a skill that is developed throughout a lifetime. The age of fractured attention is upon us; I see it in my students, in my colleagues, and most of all in myself. This has serious implications for musicians. The way we approach our craft is rapidly changing and it’s hard to reflect on technology’s role in our lives when you’re trying to keep up with your Facebook feed. The following tips are for you or your students. I’ve found them most helpful, but they are not the only means to the desired end. If you’ve found something that works for you, please share in the comments! 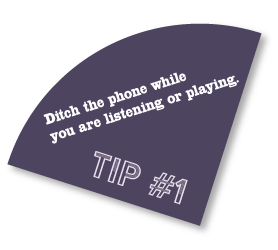 Ditch the phone while you are listening or playing. Knowing a piece well enough to play from memory requires digging deep. Often, we think memorization comes by repeating something a million times, but learning by rote is quite dangerous for your mental and physical health. By shutting off distractions and devoting 100% to the task at hand, time becomes less fractured. In Cal Newport’s book, “Deep Work,” distraction from technology is described as the #1 killer of creative and intellectual work. The author sets specific guidelines to managing your connectedness during intentional work periods by recognizing the urge for instant gratification from social media and email notifications. By removing these distractions, you allow your brain to reflect on the present challenge of the moment. Don’t forget, working with minimal distraction is a skill. It is something that needs to be continually worked on! It is especially difficult when you have not done something like this before. A few weeks ago I read an article that proclaimed that a symphony concert should be approached as a “challenge.” Since then, there have been several writers who have jumped on the train and written how classical music is the antithesis of easy listening. Of course you’ve got to dedicate some serious time away from your phone when you listen to a Mahler Symphony. Why should learning music be any different? 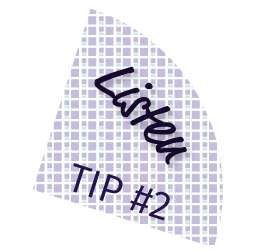 Building on tip #1, engaged listening is one of the most important aspects of memorization. I believe it is sorely underrated in favor of flashy tricks. For many years I tried to memorize music based on my own knowledge of the piece. I wanted to be original in my interpretation. I valued reading exercises and solos off a sheet because it was easier to prepare and plan my interpretation. Years after, I realize that actively listening is the single most important component of the development of a musician. Listening has to involve your entire body — it’s an emotional, creative process. It’s hard to take time out of your busy day to just listen. When listening for listening’s sake, do not plug your headphones into the phone unless you can turn off your urge to doodle on your favorite app. Your cell phone is designed to talk on the phone, play apps, and browse on the internet. It is not designed as a listening device. Listening to recordings can be a great way to understand how you want to approach a piece of music.If you want to be a better musician, dedicate separate listening time daily. When I pre-listen to a new piece my goal is to learn its melodies by heart. If the music is abstract, I will look for cues in the musical form to connect my memorization. As a 21st century musician, there are unlimited resources for listening — choose wisely. Try to use listening devices and platforms that reduce distractions. I often like to grab a glass of wine, put on a record and listen. CDs, though somewhat outdated, provide a minimal interface as well, too. Online streaming services are great for immediate gratification, but you have to be extremely mindful. Streaming music, especially classical music, can be good in a pinch, but you lose much of the quality of the recording. Why? In order for music to be transmitted over the internet, services such as Spotify, Apple Music, and Google Play have to compress files to lower quality recordings. Thoughts like this are normal and need time and space to be dealt with. 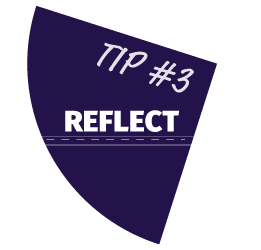 I find that reflecting outside of my normal work session gives me time to think of solutions to pressing issues. This doesn’t have to be complicated. If I have a pressing issue with my playing, I’ll often take a walk outside to clear my head. Having a daily activity to sort out issues is really important–just make sure the activity is not in the practice room and requires minimal multitasking. Some examples: dish washing, walking, yoga, closing your eyes to rest, etc. 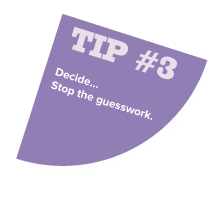 Making decisions–whether musical or “administrative”– will become easier the more you do it. Some examples of musical decisions are: How to phrase, where to breathe, what is my final tempo? Administratively speaking, How many hours will this piece take to learn, what life obstacles am I jugging, when and where should I practice that will help me be less distracted? Making the decision to play from memory may not be appropriate for all situations, but it could improve your performance. We often decide not to memorize because we have a preexisting belief of our musical capabilities. We often don’t think we’re capable, or fear we do not have enough time. If this is the case, start small… memorize a small scale pattern, or perhaps Moyse’s little melodies. Memorization is a skill that takes time and dedication to develop, but the resulting improvement in your performance ability and general understanding of music will almost certainly balance out the effort.